4 Burning Questions: How Will Ryan Newman Fare in the No. 6? Home / 4 Burning Questions / 4 Burning Questions: How Will Ryan Newman Fare in the No. 6? What will the ROVAL bring us? This weekend will introduce the first new track to the Monster Energy NASCAR Cup Series since 2011, and only the second since 2001. It’s finally Charlotte Motor Speedway ROVAL weekend. There’s really no telling how the Cup race on Sunday is going to end up. It could be a complete mess like the XFINITY Series race will no doubt be the day before, or it could be a bit boring as the eight drivers above the cutoff line drive conservatively to ensure that they move on. As far as who will be fast this weekend, I can’t see the future so who knows who is going to adapt to this racetrack and be able to perform on Sunday. Nobody has really stood out in testing. At Richmond Raceway last weekend, however, Chase Elliott made a point during a press conference where, to paraphrase, if you’re fast one place, you’re probably going to be fast at another place. 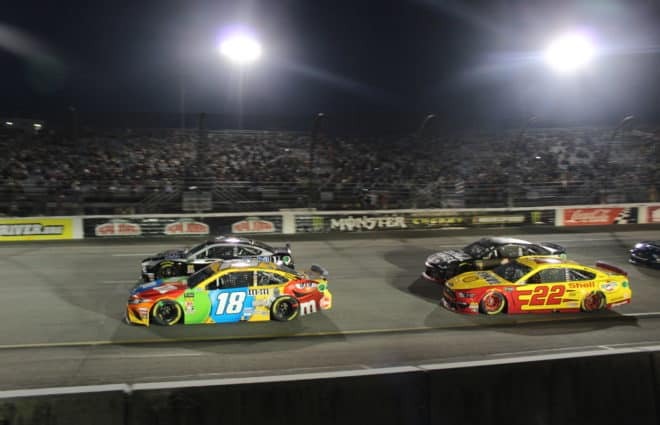 That might be the best predictor for Sunday; after all, Martin Truex Jr. has never won a short track race, but that didn’t stop him from dominating the race last Saturday (Sept. 22). So theoretically, the favorite for this weekend should be Kyle Busch. 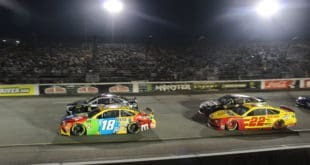 Busch has won everywhere on the Cup schedule outside of the ROVAL, and he has nothing to lose and everything to gain after his win at Richmond. What’s more impressive is just how good Busch has been over these past few years. At one point, Busch was the most aggressive driver in the field — and sometimes still is. However, he’s been able to cool off and drive smart ever since Adam Stevens became his crew chief. Case in point: Busch had an awful racecar through the first half of Richmond, but instead of wrecking by trying to get everything out of it like he would have in 2013 or 2014, Busch simply hung in there, and Stevens made the car fly in the last 150 laps. He should be able to get the job done and win on at the ROVAL. Who will be out of the playoffs after Sunday? This might be the craziest cutoff race in the history of NASCAR. We have a brand new road course being raced at, a home race for everybody in front of all the shop employees and only four drivers with no chance of being locked out of the playoffs (as long as Kevin Harvick starts the race). Everybody else is fair game and within 25 points of 13th. Denny Hamlin is 16th on the playoff grid, needing a lot of help to make the Round of 12. Hamlin is 29 points behind 12th and is going to need all the stage points he can garner if he wants any real hope of making it in without winning outright. If he can’t, expect him to be very aggressive in the third stage. Next up is Erik Jones, who needs to make up 21 points. Like Hamlin, he’s going to need stage points. A good sign for Jones: his average finish at road course races this year is sixth. 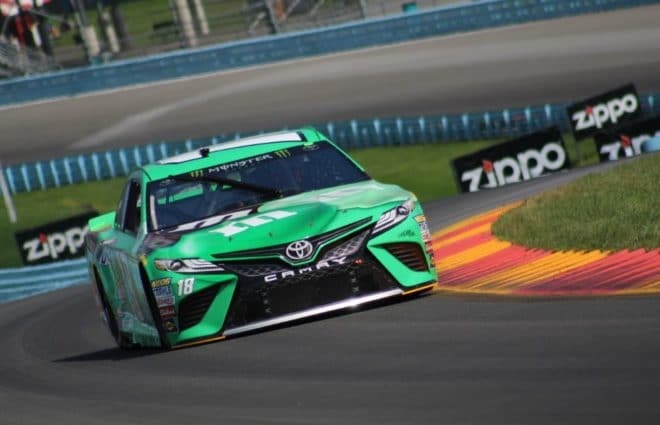 So if there is chaos for everybody else and Jones can cruise to fifth or sixth, he should be able to stay in, if he can duplicate his performance from Watkins Glen International last month. In 14th is Jimmie Johnson, which wasn’t a phrase used much years ago. Just six points separate him from Ryan Blaney in 12th. With Johnson’s teammates also on the bubble (Chase Elliott is only 10 points ahead of 13th and Alex Bowman five up), there’s a possibility that no Hendrick Motorsports cars get out of the first round. Clint Bowyer hasn’t had an awful start to the playoffs — he finished 23rd at Las Vegas Motor Speedway and 10th at Richmond. But it speaks volumes as to just how good this playoff field is that a multiple race winner in the regular season is out by four points entering the ROVAL. Bowyer might seem to be the last guy you’d think of as a road course ace, but he does have a win at Sonoma Raceway to his credit. How will Ryan Newman fare at Roush Fenway Racing and what’s next for Matt Kenseth? As was first broken by Frontstretch, Ryan Newman officially announced that he was joining Roush Fenway Racing for 2019 and beyond. One of the big things I noticed at the press conference was just how much both team owner Jack Roush and RFR president Steve Newmark mentioned Newman’s engineering degree. 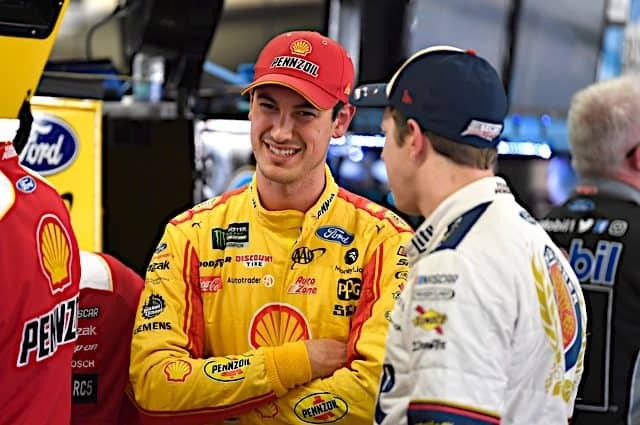 It’s obvious that was the deal-clincher compared to other potential free agent drivers, after Matt Kenseth confirmed to the team that he didn’t want to race full-time next season. It’s very likely Kenseth’s career is over if he stays adamant about not racing for anybody but Roush from now on. Which is funny, because it seemed like they had a bad breakup just six years ago, but nonetheless, Kenseth is only going to race again as a substitute driver or if Roush starts a new team. 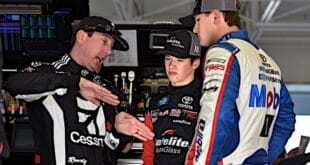 There’s a possibility RFR runs a third team for Kenseth on a partial schedule, but it’s not likely. Under the charter system, it just hasn’t seemed financially solvent for bigger teams to run a car without a charter. If there were, we wouldn’t have been under 40 cars so many times the past three years. Maybe they could do a Mark Martin type deal where Kenseth splits the ride with younger drivers such as Ryan Reed or even Cole Custer. But Reed isn’t ready yet, and RFR has never once done something like that. Maybe Roush himself feels like there’s no point to fielding a car that isn’t eligible for the driver’s championship. Regardless, when Kenseth gets out of the No. 6 Ford at Homestead-Miami Speedway, it’s likely that’ll be it for the 2003 champion. Is AJ Allmendinger leaving NASCAR? 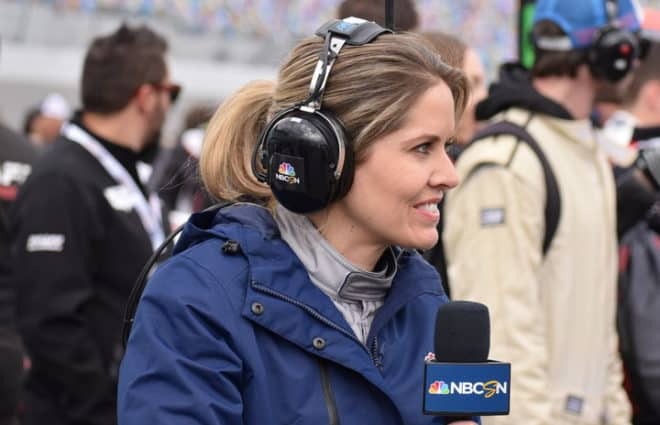 Almost as soon as AJ Allmendinger was announced to be leaving JTG Daugherty Racing, there were news reports stating that Ryan Preece will be the new driver of the No. 47. 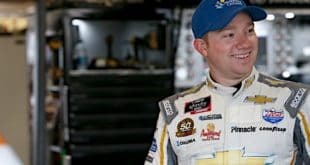 Preece would be the first announced rookie in the class of 2019, and there has been a lot of smoke to the fire as far as the modified driver making the move up from his part-time XFINITY ride with Joe Gibbs Racing. What does Allmendinger do here? It’s very unlikely he’s in the running for the No. 41 or the No. 31, but he could easily stroll into Go FAS Racing and become the new face of the small team. Or Allmendinger might not even race in NASCAR anymore after this year. Michael Shank outright confirmed over Twitter that Allmendinger will be back with his IMSA team next year. Shank and Allmendinger have had a long relationship; remember that Shank was the only owner/sponsor that stood by Allmendinger in the immediate aftermath of his failed drug test in 2012. 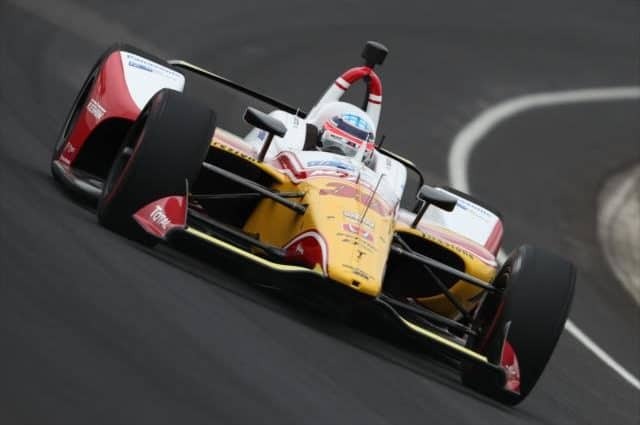 Allmendinger may also get some IndyCar interest, but he just said a few years ago he would never drive an open cockpit car again after the death of his friend Justin Wilson. The best path going forward for Allmendinger would probably be a full-time IMSA schedule with Shank while also racing part-time in Cup, particularly at the road course events. That way he can keep his name out there in NASCAR in case a team needs a substitute driver or is just looking for a new driver, while he competes for an IMSA championship, which he can probably get with how well he typically runs in that series. Newman will do just as bad as kenseth until roush takes a crowbar to his wallet to get it open. Ryan Newman, Martin Truex, Kurt Busch, until RFR decides to spend the money to be competitive it wont matter. The Cat in the Hat started to decline with the partnership with Fenway Sports Inc. Now they race by committee and it appears Jack has lost the desire to fight for influence. Newman will fare about as well in the 6 car/RFR as he did in the 31 Car/RCR. Kenseth should stay in Wisconsin. Anyone who has run the 24 hours of Daytona may have an advantage here. Think McMurray. Newman has 18 wins in 19 years, 8 of those in 2003 alone. 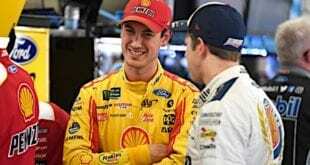 Newman will do absolutely nothing in the 6 car next year, just like everyone else recently. That engineering degree is 20 years old and sure hasn’t brought him much success during that time. But somehow he keeps getting rides.Didn’t take Kenseth long to realize he should have stayed back in Wisconsin this year did it. Quiet as a mouse. His 8 win 2003 season was the other part of the equation that spawned the Chase and started the NASCAR train going off the rails. How ironic that he is essentially replacing Kenseth. Most of those wins came because of Darrell Waltrip 1989 Daytona 500 winning-like fuel mileage schemes concocted with fellow engineer crew chief Matt Borland. At least there was no reference in this article to his phony 2nd place finish in the standings in 2014. Agree totally. Or that he was named rookie of the year over Jimmie because he could qualify fastest. One lap wonder How did qualifying ever top winning. What did that story have to do with Ryan Newman at all??? One sentence reminding us all he has an engineering degree?